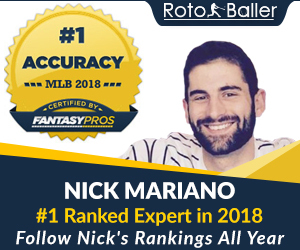 We're about a week into June now, a month famous in fantasy baseball circles as high time for big name MLB prospect call-ups. 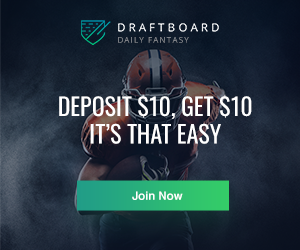 As any owner of George Springer this year or Yasiel Puig from last year will tell you, having a big name prospect who breaks out can give a much needed boost to your fantasy team. It's easy to get caught up in the hype of a prospect because after all, we've never seen these players struggle before. We’ve never seen them fail. 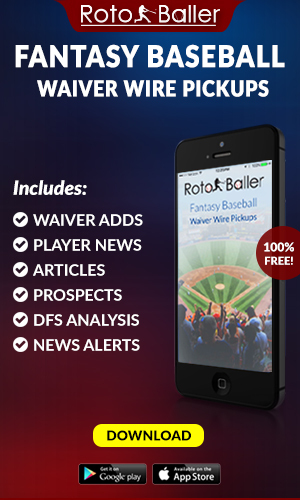 In some cases, we may still be able to grab these sleepers off the waiver wire depending on the league format. Who then are the MLB prospects most worth buying in on, and who are considered long shots? The aim of this article is to answer those questions. 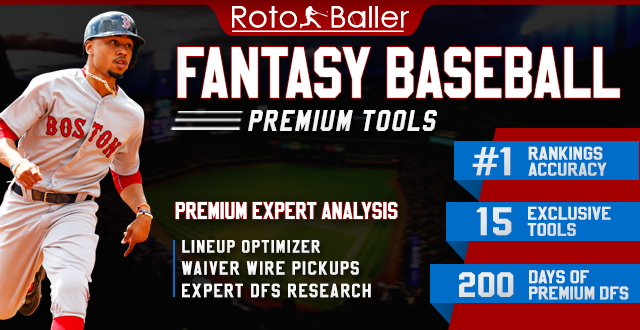 Today we'll take a look at the 10-through-6 ranked hitter prospects for fantasy baseball, and tomorrow we'll look at the top 5. 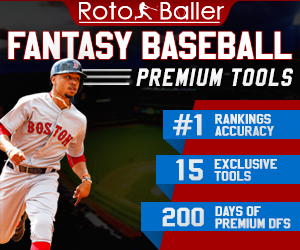 Editor's Note: Be sure to check out part 2 of this prospects piece, and read about the top 5 MLB hitter prospects for fantasy baseball. 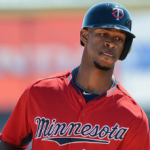 Byron Buxton's 2014 has been all but derailed by a wrist injury that's limited him to only 5 games so far this season. It's undeniable that he has incredible talent, having stolen 57 bases with a .300+ batting average last season, but considering that he's never played above high A ball, it's fairly unlikely the Twins would push their top prospect so quickly. Buxton has only an outside shot at being called up this season, but nonetheless worth paying attention to as the season progresses, and he is worth owning in all keeper and dynasty formats. Maikel Franco has struggled this season, but one can't forget that it was only a year ago that he slugged 31 home runs between A+ and AA with a .300+ batting average. The move to AAA has seemed to give him more issues than AA however, so much so that despite the desperate need for an infusion of talent to the big league roster, Phillies GM Ruben Amaro has said that he doesn't think that Franco is "really ready to be a big leaguer yet." It seems likely that he'll finish the season in AAA, but if he is included among the September call-ups for the Phillies, he could be a sneaky power threat for an owner in need. Francisco Lindor will be a better prospect for next year than this one, but there remains a good chance that the Indians call him up in September to give him a look at the big league level. His defense is good enough that he'd be an immediate help to the major league team, but he'd also be a nice play for fantasy owners searching for stolen base help at the same time. I can see him stealing 4 or 5 bases with a .250 batting average in September, which while not magic, could be a nice addition to a needy owner in deep leagues. It's no secret that Javier Baez has struggled mightily this season. He's posted a 34.8% strikeout rate in AAA so far this season, by far the highest of his career, along with career lows in batting average, OBP, and HR rates. Because of his struggles and the Cubs' lack of a real motivation to rush him, it's quite possible that Baez stays in the minors throughout the rest of the season. He has the kind of power/speed combo skill set that would be an attractive option if he were to receive a September promotion, but he'll have to play well enough going forward to earn it first. It's not something to count on, but it's worth monitoring. Soooooo Alex Guerrero kinda got his ear bit off this season in a fight with a minor league teammate. Reports seem to suggest that the surgery to save his ear was successful and he should make a full recovery which is great news both for his career and more importantly Guerrero's well being. That said I honestly have no idea what a realistic return timetable for this kind of injury would be just because you don't see too many top prospects get their ears bitten off in today's game. Assuming all goes well I'd like to hope that he'd be ready see major league action when it's time for September call-ups. He has a very nice skill set for a middle infielder, featuring impressive power as well as a plus batting average. There's only so much that can be done in one month, and with limited at-bats due to Dee Gordon blocking him at the position, and questionable health, his upside is somewhat limited. 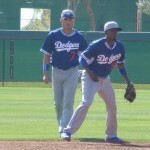 Nonetheless he's a prospect worth monitoring, and owning in all dynasty and keeper formats, especially if Dee Gordon begins to struggle down the stretch.